June 30, 2017 By Chelsea T.
Who doesn't love a good ghost story? Well, in Colorado, there's a whole lot of them! From hospitals and asylums, to cemeteries, schools, theaters, restaurants, parks, bridges, and even roads, there's an endless amount of places throughout the state that are said to have some ghostly spirits lingering. Some of these creepy spots are located in the biggest of cities that everyone knows about, and others in small towns that only locals may know of. 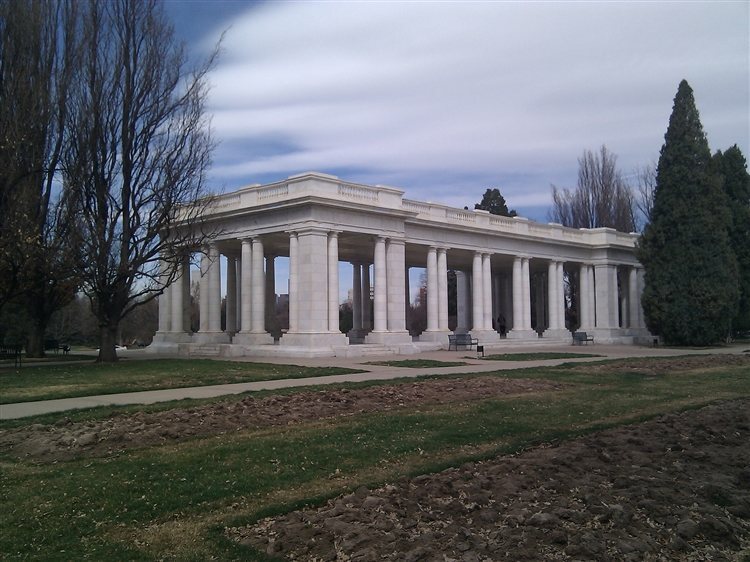 Take a peek below to check out our Top 10 Haunted Places in the state of Colorado! Dating back to 1909, the Stanley Hotel gained fame after being featured in the classic horror film by Stephen King, "The Shining." Located just four miles from Rocky Mountain National Park, this hotel features 420 rooms and offers panoramic views of Lake Estes, the Rockies and Long's Peak. The hotel was built by Freelan Oscar Stanley and Flora Stanley of Stanley Steamer fame and opened on July 4, 1909, catering to the American upper class at the turn of the century. 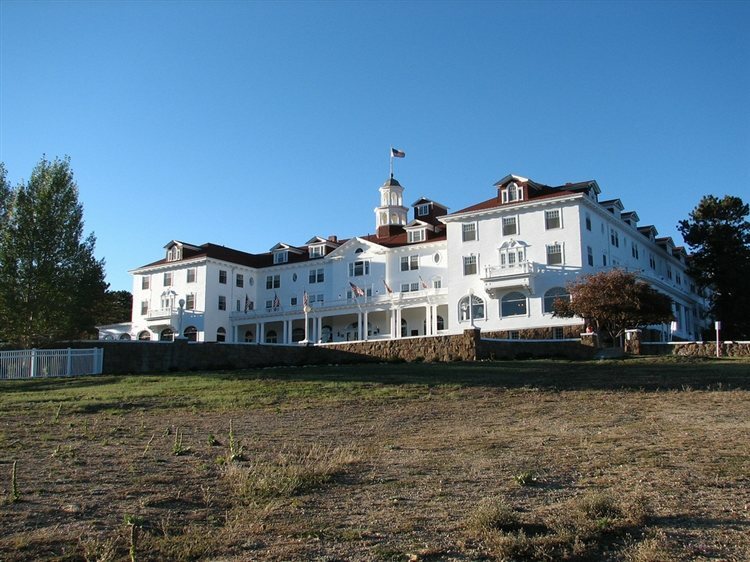 It has had a number of haunting reports, and the hotel even hosts guided tours of the place which feature the history and alleged paranormal activity on the property. It has been rumored that Flora Stanley herself haunts the hotel, as one of her favorite past times was playing the piano, which has been heard being played late at night when no one is around. A number of rooms have had reported activity, including Room 217 and Room 401, which is said to have a haunted closet where a main is seen standing. A spirit that is believed to be a long term housekeeper of the Stanley's is said to be the spirit lingering in Room 217. Stories say if she likes you, she'll help you unpack your luggage! 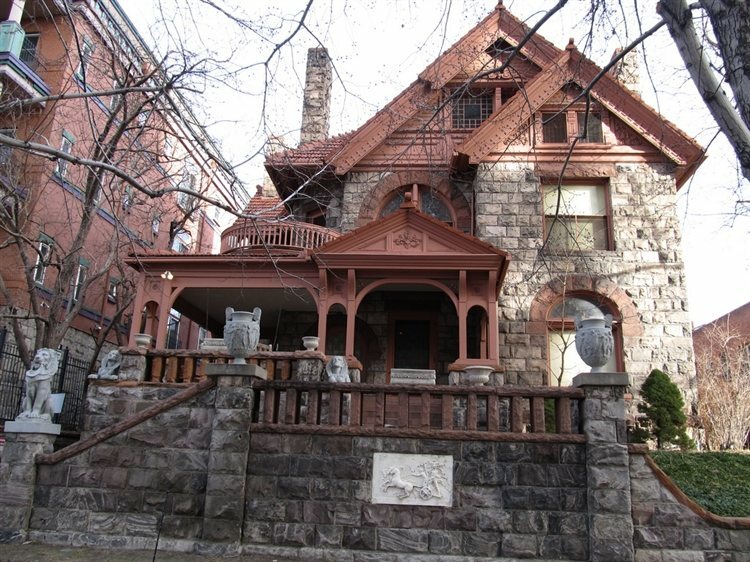 Located on Pennsylvania Street in Denver, the Molly Brown House was the home Margaret Brown, an American philanthropist, socialite and activist. She also survived the sinking of The Titanic. The home was added to the U.S. National Register of Historic Places in 1972 and was also added to the Colorado State Register of Historic Properties. Dating back to the 1880s, the home was built by architect William A. Lang and is said to be quite haunted. Many believe that one of the ghosts that lingers here is Molly Brown herself, and that her spirit has been seen wandering throughout the house, accompanied by cold spots. In some rooms of the house, pipe and cigar smoke can be smelled, and is attributed to her husband's ghost. There is also the ghost of a lady in Victorian clothing who likes to move the furniture around in the dining room. "Johanna" is the spirit that has been spotted in a bedroom upstairs and the ghost of a mad butler has been seen standing behind people as they go to look in a mirror on the first floor. Denver's Brown Palace Hotel is located on 17th Street and dates back to 1892. 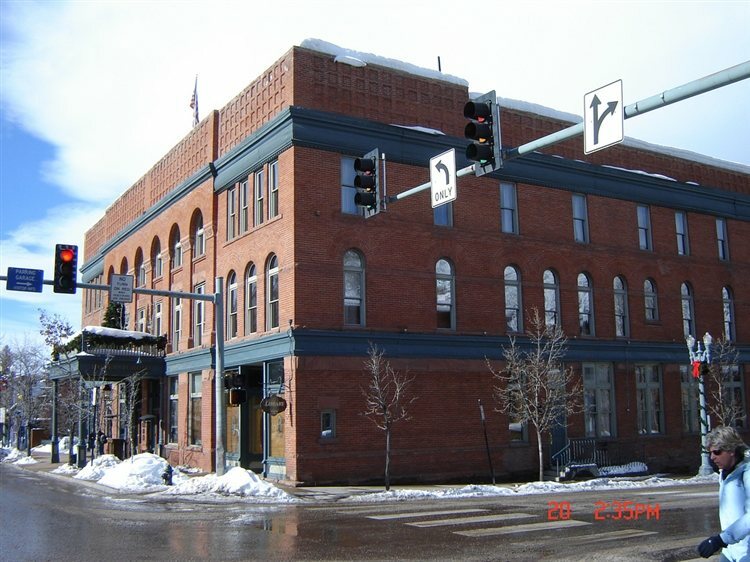 The historic hotel was added to the National Register of Historic Places in April of 1970 and was also added to the Colorado State Register of Historic Properties. According to Wikipedia, it is the second-longest operating hotel in Denver and is one of the first atrium-style hotels ever built. 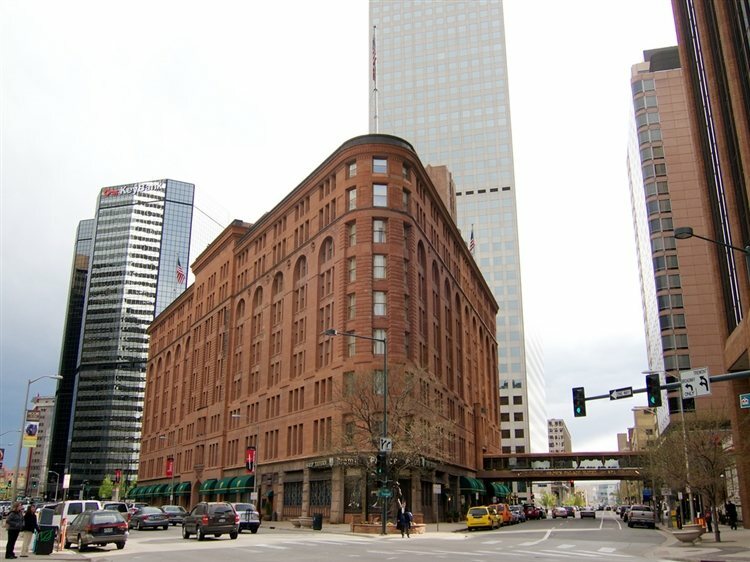 The hotel is rumored to be haunted by a number of ghosts, one of them being a Denver socialite, Mrs. Louise Crawford Hill, who lived in Room 904 for 15 years. Her ghost is known to call the switchboard when the room is vacant, and only static can be heard on the other end. The ghost even called the switchboard from Room 904 when the room was being renovated and had no phone, furniture or lights. Another spirit of the hotel is an old-fashioned train conductor and in the dining room, there is a ghostly string quartet. When an employee caught the formally attired musicians playing in there, he warned them, “You’re not supposed to be in here,” but the ghosts only replied, “Oh, don’t worry about us. We live here.” A uniformed waiter that appears in the service elevator, a crying baby in the boiler room, and ghostly children who run up and down the halls are also among the ghosts of the Brown Palace Hotel. Most cemeteries are quite creepy to begin with, but The Central City Masonic Cemetery in Black Hawk is said to be a bit more eerie than others. The cemetery was established in the early 1860s and haunting reports include light anomalies and orbs that appear in photos, sightings of a young boy who is said to follow visitors around, but will run and hide if anyone tries to approach him, and there's also the Lady in Black. She is said to walk the cemetery every November 1st, visiting the grave of John Cameron, who many say had been her suitor in life. The historic St. 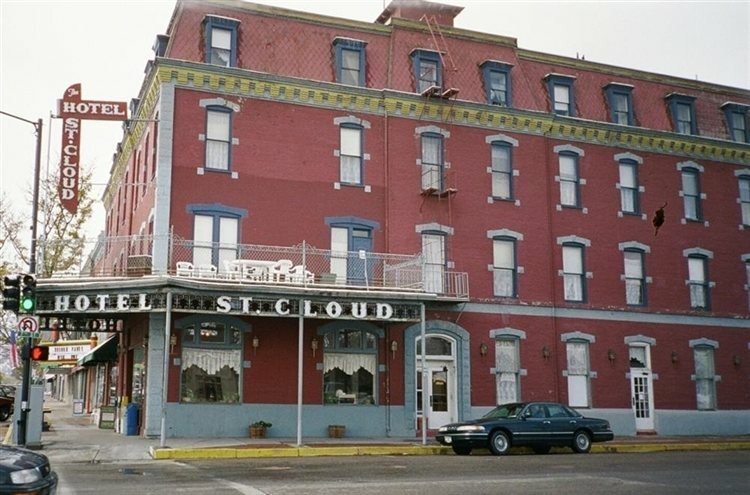 Cloud Hotel in Canon City is no longer in operation, but it is housed inside a building that originally dated back to 1890. It is one of the oldest hotels still standing in all of Colorado and was added to the National Register for "Canon City Downtown Historic District." A little girl's apparition has been spotted in the halls of the hotel, playing with a ball, and it is said that the other ghosts like to play tricks on both visitors and staff members. Other paranormal activity reports include televisions and lights that would turn on and off on their own, chairs would be found stacked inside rooms that weren't occupied, and objects would be mysteriously hidden. Cheeseman Park was established in 1898 and sits on 81 acres of land. It was added to the National Register of Historic Places in September of 1986 and is also listed on the Colorado State Register of Historic Properties. 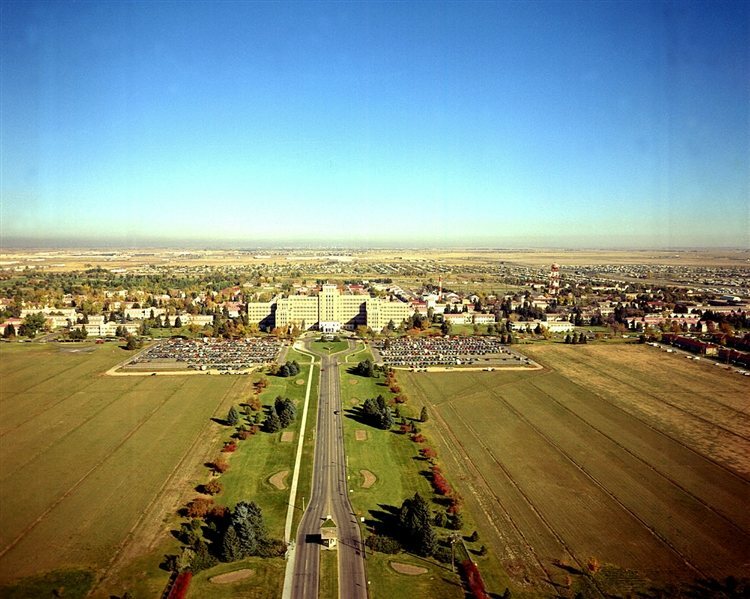 The land that is now the park was once the Prospect Hill Cemetery in the late 19th century, which also included the land that is now the Denver Botanical Garden and Congress Park further east. Stories say there is a ghost of a man wearing a hospital gown that lingers the grounds of the park at night, in search of his killers. He is said to have deep stab wounds in his chest, back and arms. Another strange report is from people who have claimed to experience an odd sensation if they lie down on the grass. They say that after lying down for a short time they feel as though they are unable to stand up. It is almost as though some unseen force is holding them down. Aspen's Hotel Jerome dates back to 1889 and is located at the foot of Aspen Mountain. The luxury hotel is filled with historic heritage, and was listed on the National Register of Historic Places in 1986. It was built by Jerome B. Wheeler, who was at the time, co-owner of Macy's and a major investor in Aspen. The establishment is believed to be haunted by a young boy who drowned in the hotel's swimming pool. His ghost is known to haunt Room 310, a room that overlooks the pool. He appears to guests wet and shivering and is said to disappear, leaving only a trail of wet footprints. Other ghosts that are said to haunt the hotel are Katie Kerrigan, a former employee of the hotel and Henry O'Callister, a man who made a fortune in the mining industry. Legend says he moved to Jerome and fell in love with a Boston heiress named Clarissa Wellington. The two wanted to get married, but Clarissa's father refused to allow it. She returned to her father and Henry stayed in Aspen, and his ghost can be heard at night crying and wandering down the halls. 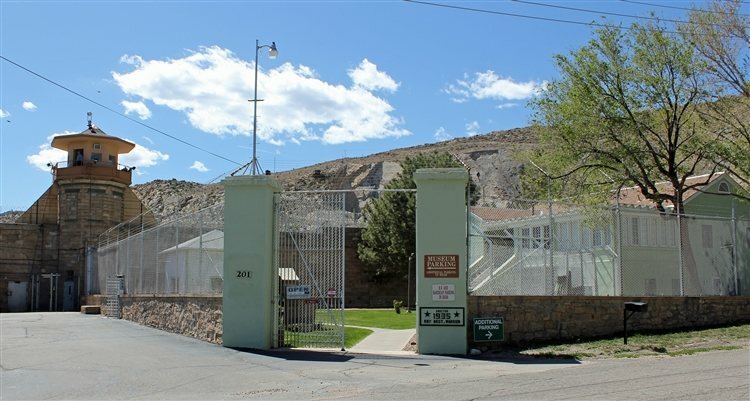 Located off U.S. Highway 50 in Canon City, the Museum of Colorado Prisons is housed inside a former state women's prison. The prison building dated back to 1935 and the museum was founded in 1988 by a group of Fremont County residents. The property is believed to be haunted by some lingering spirits, who manifest as cold sots and a phantom tobacco smell that has been reported in the laundry room. And in Cell 19, a female prisoner who died there is said to have never left. Photos have shown ghostly orbs in the cell, and the sound of coughing has been heard coming from the empty cell. 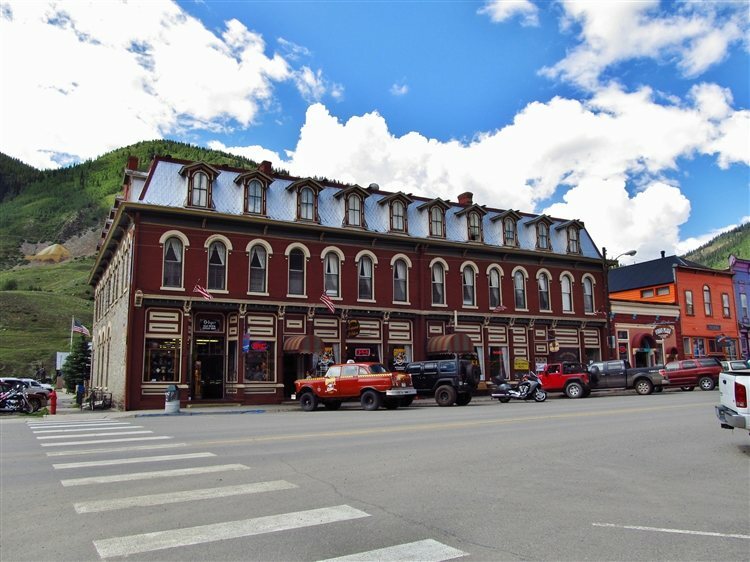 Cripple Creek's Imperial Hotel and Restaurant is a family-owned hotel that dates back to the late 1800s. Dr. Luigi is the ghost who is said to reside at the hotel, and he is known to make noise on the second floor. There is also the story of one of the original owners, George Long, and his daughter Alice. George married his first cousin, and Alice was born with a severe mental disorder and the couple locked her in the apartment next to the hotel because she became so unruly. One day, George "fell" down the stairs and died, although many believe Alice hit him with a skillet so he would fall. According to Visitcos.com, "Today, Alice’s old room is the Red Rooster bar. Staff reports if the doors are closed, scratching can be heard on the other side. George’s ghost is a bit cheekier playing the slots at night when the casino is closed and touching lady guests at his leisure. The location was featured on an episode of Travel Channel’s Ghost Hunters." This army hospital is no longer in operation but was once a U.S. Army facility located on 577 acres of land. The hospital opened in 1918 and was the largest structure in the state at the time. It closed its doors in 1999 and has since stood abandoned. It was founded during World War I by the U.S. Army after they needed to treat the large number of casualties from chemical weapons in Europe. The hauntings that have been reported here are believed to be attributed to its tragic past, and those lingering in spirit are most likely soldiers who passed away here. 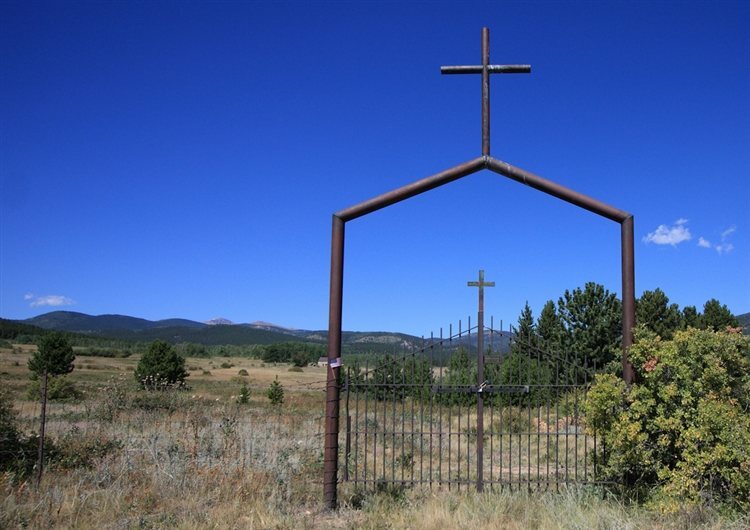 Click here to read about more Haunted Places in Colorado!